I was meant to be flying from Knock to Stansted for the day today just to see if it was possible and how much I’d get to see. The weather has been fairly bad here with snow and freezing temperatures and it’s much worse in the UK. Some flights in to Luton and Stansted were cancelled yesterday and Stansted Airport looked packed last night. I couldn’t sleep last night for worrying. I had a feeling telling me not to go. I also had a cracking migraine. I think I made the right choice. 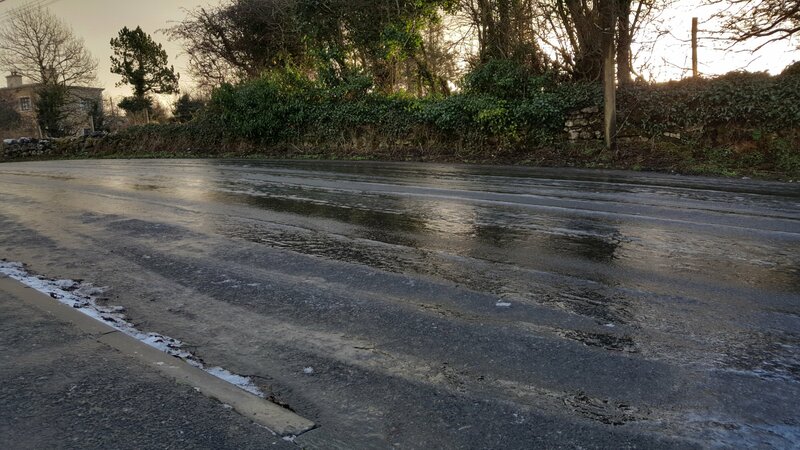 The photo above is our road, pure ice. When I switched on my computer the first email I saw had the subject title ‘Disaster Averted’. It gave me shivers! How did your travelling go Ann?